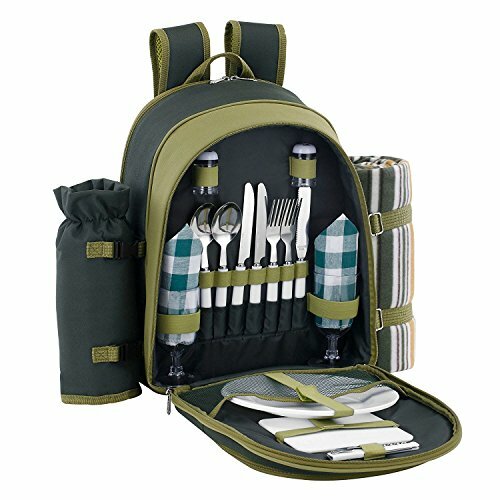 All kinds of picnic backpack products, are listed for sale on our store! Tuck into a tasty alfresco feast for two with the ALLCAMP Picnic Backpack . Combining style with substance, the backpack holds everything you need for a picnic for two people and comes in a trendy green design with contrasting tartan panels. Zip up cooler compartment inside the backpack keeps food fresh and cooler for longer. Perfect for cold meats, sandwiches, cheese, fruit, dips and desserts. 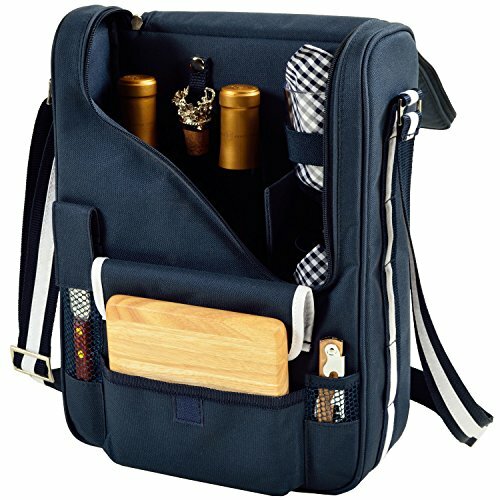 A second zipped compartment holds all the picnic essentials s upplied with the backpack. Also includes a 115 x 135cm approx. soft green fleece tartan blanket with waterproof PEVA backing so wet grass won't spoil your picnic. Easy to store on the side of the backpack using the built in blanket holder. For any other essentials you might want to take on your picnic, there's a zipped front pocket which provides you with extra storage. Equipped with soft padded adjustable shoulder straps and a top-mounted carry handle for comfortable and easy transportation. Size: L11.8 x W7.9 x H16.1 inch approx.